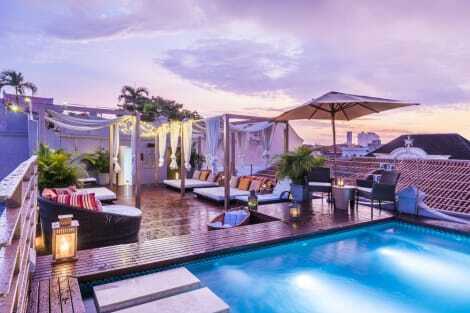 Located in Cartagena (Cartagena Walled City), Ananda Hotel Boutique is within a 15-minute walk of Clock Tower and Cartagena de Indias Convention Center. This 4.5-star hotel is 1.2 mi (2 km) from Bocagrande Beach and 2.7 mi (4.3 km) from Castillo Grande Beach. With a stay at Hotel Almirante Cartagena - Colombia in Cartagena (Bocagrande), you'll be steps from Bocagrande Beach and 10 minutes by foot from Castillo Grande Beach. 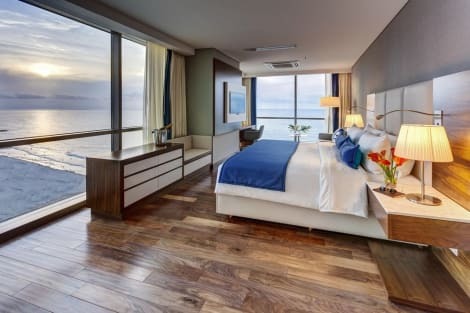 This 4.5-star hotel is 2.3 mi (3.7 km) from Cartagena de Indias Convention Center and 3 mi (4.9 km) from Clock Tower. 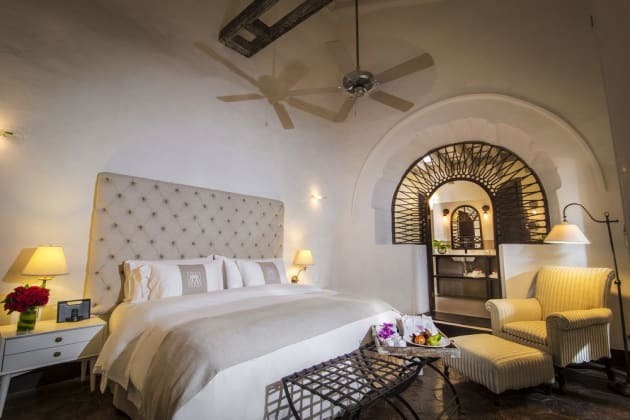 The property is located in the most exclusive area of Cartagena de Indias, facing the Caribbean sea, staying at the hotel will be one of the best experiences you can live in Colombia. Situated just 5 minutes from the Rafael Nunez International Airport in a quiet and exclusive area of the city. Guest can feel all the calm and relax in the semi-private beach, away from the bustle of public beaches, where you can enjoy the sea, sun and sand. The rooms offer a warm style with an excellent rest atmosphere for a pleasant stay. The beautiful establishment is an ideal option for discover this amazing city.